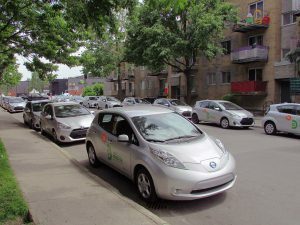 During the last few years, the electric cars have started to awaken the interest of the drivers and the people who are concerned about the pollution and the ways of saving the environment. More and more attention is directed towards the cars that will be environmentally friendly and also retain the good performances of the gas-powered cars. There are some important things to pay attention to when thinking of shifting to an electric car. These are emissions, energy used for charging the car batteries and even the energy used for manufacturing that kind of cars. There is a great deal of the environmental benefits electric cars offer. They reduce CO2 emissions during driving and reduce the air pollution in the cities because they gather the wasted energy in power plants that are far away from people. The best choice directed to the saving of the environment is a car that has a renewable energy source that can be charged in home conditions. 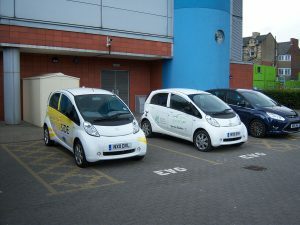 Many people decide to combine electric cars with solar panel systems for charging them in order to both save the environment and money on fuel. Electric cars fuel is electricity. Most of it is produced by natural resources or coal. The studies have shown that even though a person drives an electric car that uses the electricity made of coal, it still does not pollute the environment to that extent as the gas-powered cars. Furthermore, since these cars are charged by the electric supply, they do not emit tailpipe pollutants when we think only of the driving moment. On the other hand, when considering the process of the production of the fuel for this car as the starting point and the burning of it as the final point, we can realize that the resources used for making the fuel are polluting the environment. 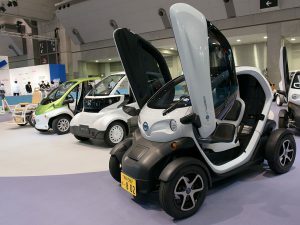 Another disadvantage of these cars is that for their building rare materials such as lithium, cobalt, and terbium are being used, and since they are rare they will be depleted soon. Batteries are the hardest part to produce so this wastes the largest amount of energy. A lot of the energy is wasted during the charging process, too, because different harmful resources are used for the production of the electricity. With the growing production of the electric cars, the need for the new mines will increase. The investors will direct their money towards these new mines and this will cause pollution of the rivers, deforestation and disrupt the ecology. There are the countries which intend to work on reducing carbon footprint and going green by turning to electric cars instead of traditional ones. Germany and Norway are the best examples of this practice. Greenpeace organization suggests that public transport should also become electric. The idea is to find the ways to improve these vehicles and to make them more eco-friendly and to reduce their energy wasting.